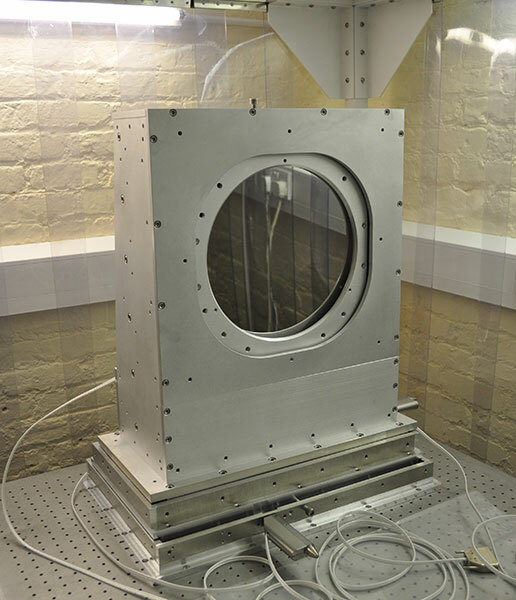 Optical Surfaces Ltd. has received an order from Strathclyde Intense Laser Interaction Studies (SILIS) Group, from University of Strathclyde (UK) for three ultra-high performance off-axis parabolic mirrors in special custom vacuum motorised mounts. The mounted mirrors to be developed by Optical Surfaces Ltd. will be used on several beamlines of the facilities 350TW laser which is designed to support an extensive research portfolio in laser-plasma physics and multidisciplinary applications, with an emphasis on radiation sources and healthcare applications. The SILIS Group are one of the main collaborators of SCAPA (Scottish Centre for the Application of Plasma-based Accelerators), an £8M+ state-of-the-art research facility. 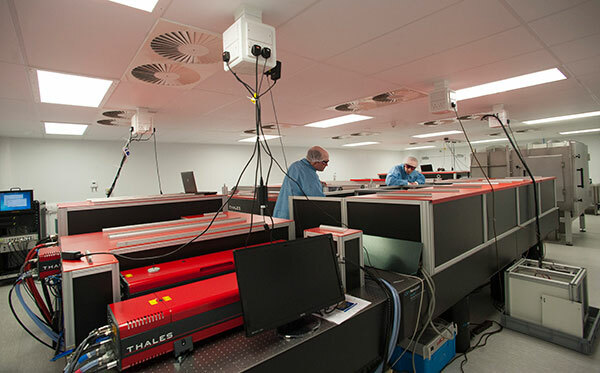 SCAPA houses laser systems, including a 350 TW laser (5 Hz, 25 fs) and 40 TW laser (10 Hz, 35 fs), and three radiation shielded bunkers, which have space for up to 7 beamlines. Each beamline is uniquely designed to focus on a specific category of laser-plasma interactions and secondary sources. A variety of photon and particle beams will be produced at SCAPA and utilised for multi-faceted R&D ranging from fundamental research (e.g. ionisation and plasma effects) to advanced university-scale applications arising from plasma-based light sources such as free-electron lasers, betatron radiation and inverse Compton scattering. Three SCAPA beamlines will use Optical Surfaces ultra-high precision off-axis parabolic mirrors each manufactured with different focal lengths. The first one, produced with a long focal length (2000 mm), aims at investigating acceleration of high-quality electron and X-ray beams via underdense plasma and high intense laser interaction. The second one uses a pair of off-axis parabolic mirrors (1000 mm) as part of double plasma mirrors system to further enhance the contrast of the 350 TW SCAPA laser system. The third beamline, which uses the shortest focal length (210 mm) off-axis parabolic mirror, will be dedicated to the investigation of ultrahigh contrast, ultra intense laser-plasma interactions. This will facilitate research into the development and application of laser-driven ion beams. Operating in a uniquely stable manufacturing environment – Optical Surfaces’ skilled production team is able to routinely produce precision off-axis parabolic mirrors that enable intense laser facilities to conduct ground-breaking research. Dr Grace Manahan, a SCAPA and SILIS Group research associate said “In all of the beamlines, the quality of the produced/accelerated particles (electrons or ions) and X-ray radiation is highly dependent on the quality of the focus spot produced by the off-axis parabolas. This means that as the high-power laser beam propagates onto the parabola, it should experience virtually no wavefront distortion so that the focus spot is high quality (i.e. no astigmatism or distortion). The surface quality of the off-axis parabolic mirrors and the level of stability provided by their mountings are of vital importance in our supplier selection processes. Optical Surfaces Ltd. has been producing optical components and systems for more than 50 years and is now accepted as one of the world’s leading manufacturers of parabolic mirrors for high energy laser research. The company’s ISO 9001-2008 approved manufacturing workshops and test facilities are deep underground in a series of tunnels excavated in solid chalk where temperature remains constant and vibration is practically non-existent. With such stable conditions testing, particularly with long path lengths, becomes quantifiable and reliable. Working with these natural advantages is a highly skilled team of craftsmen with a commitment to excellence in both product quality and customer service. For further information on the Strathclyde Intense Laser Interaction Studies (SILIS) Group and SCAPA please visit http://silis.phys.strath.ac.uk/ and www.scapa.ac.uk/. For further information on off-axis parabolic mirrors for high energy laser research please visit www.optisurf.com/index.php/products/off-axis-paraboloids/ or contact Optical Surfaces Ltd. on +44-208-668-6126 / sales@optisurf.com.